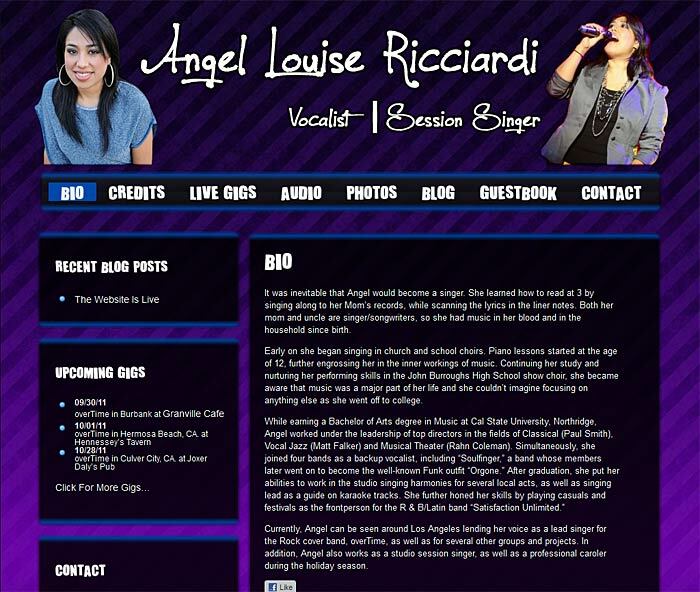 Angel Ricciardi is a versatile California-based vocalist with a wide range of musical talents, as a soloist and with groups in both live and studio settings. 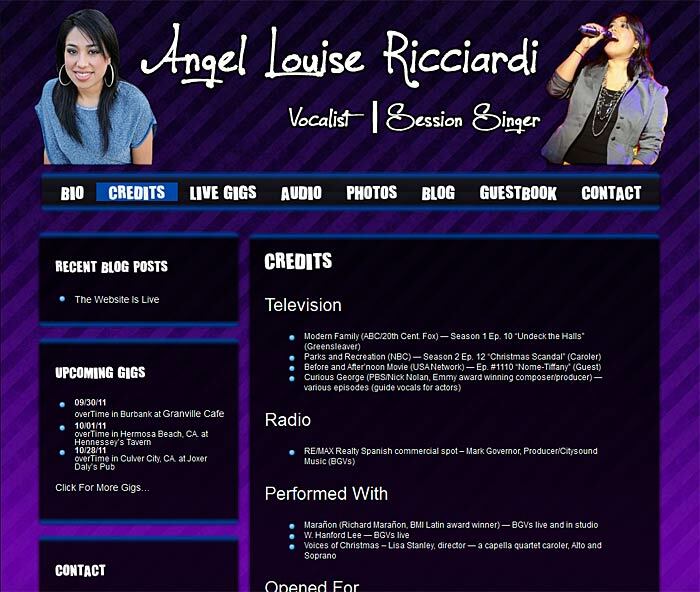 Angel needed an official website presence to serve as an electronic press kit for potential work. 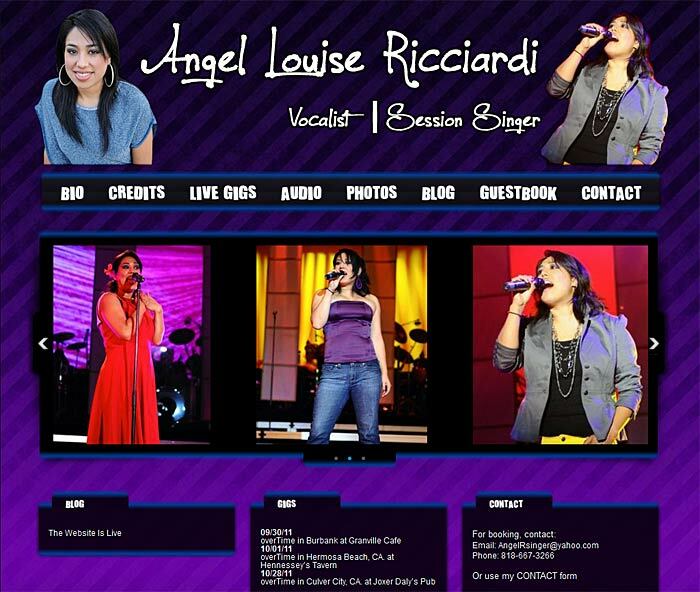 Angel wanted a straightforward design with a funky purple edge which would fit her personality. 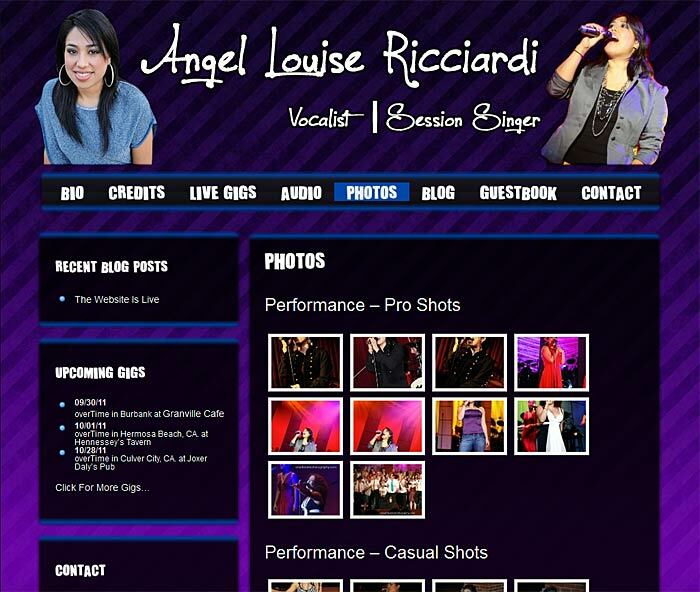 Full hosting and ongoing maintenance are provided for this website. 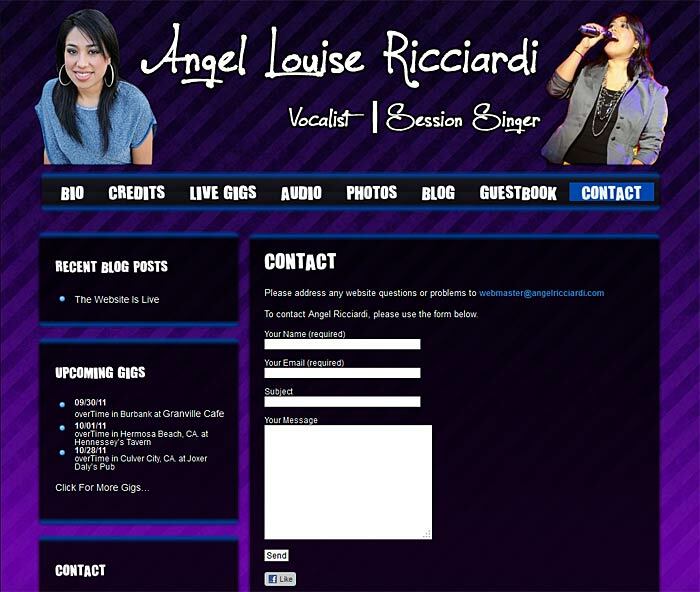 Social Media Integration: Blog posts can be broadcast instantly to client’s Facebook account. Facebook “Like” buttons integrated throughout site to encourage visitors to share on Facebook, resulting in increased visibility, incoming traffic and incoming links. Syndication sites: Multiple sites were created on various other hosted blogging platforms to serve as additional traffic sources, all news items are syndicated to these sites upon posting. 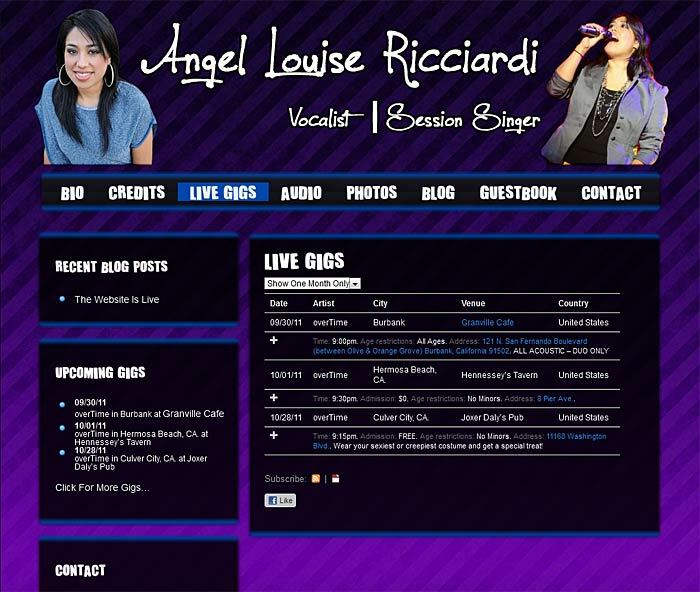 Live Events: Live events database included for reporting future and past gigs, able to list multiple artists for Angel’s solo performances, as well as performances with her band overTime. 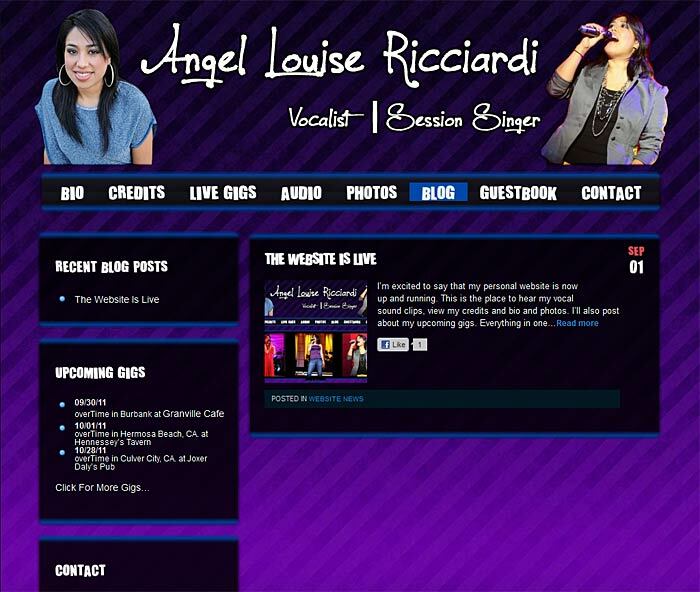 All prior venue information easily accessible for quickly listing recurring shows. Photos: Photo gallery with automatic photo resizing, watermarking and thumbnailing, with “lightbox” fullsize photo display. 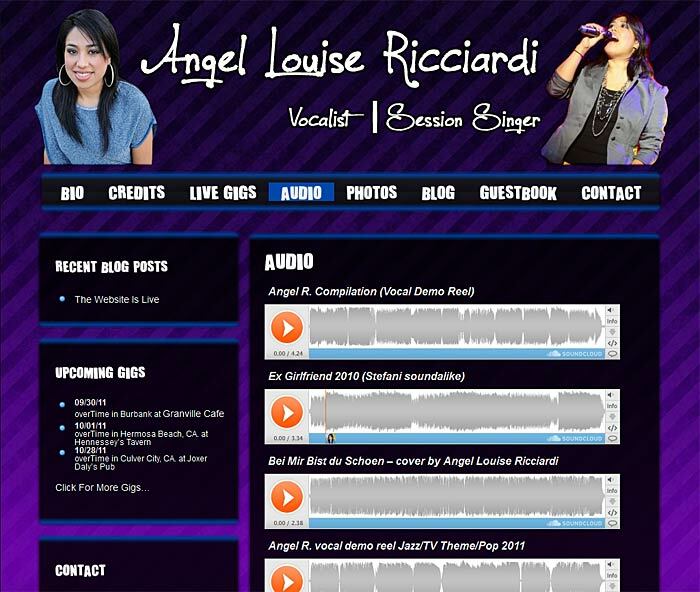 Audio: Streaming Soundcloud audio players play Angel’s sample audio files without the ability for the website visitor to download them. 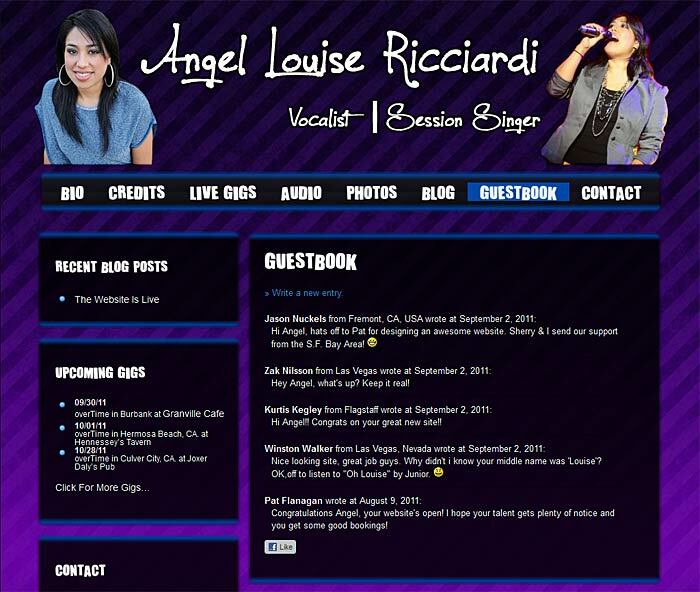 Guestbook: Website visitors are able to read other visitor’s comments, and can leave their own comments about Angel’s performances via a submission form. System is fully moderated — no comments go live until they are approved. 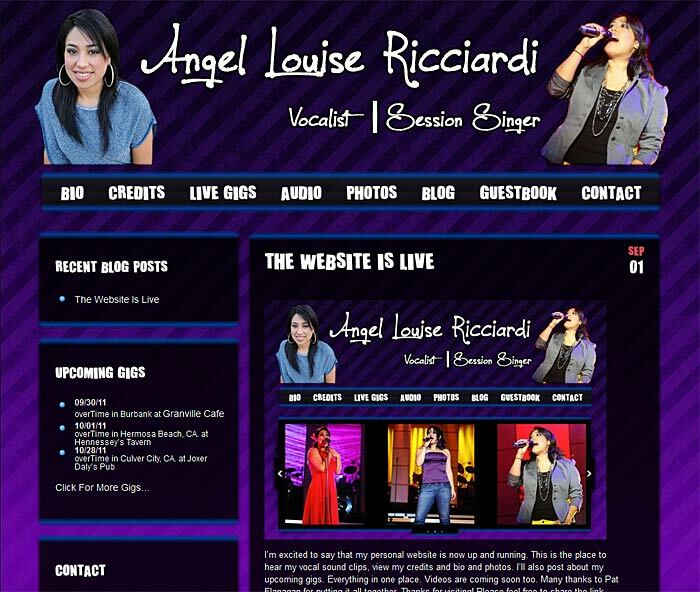 Click here to visit AngelRicciardi.com!